It's been sort of quiet around here. I took an unexpected break for a couple of weeks thanks to a few germs that showed up unannounced. Little buggers. That fellow on the bottom right is slightly squished but I rather like him like that. While waiting for all of these little bits dry I did manage to put a few leftovers from last year into a little vintage spice rack drawer for 2012's first completed project! How could anyone get tired of them?! That spice rack village is incredibly cute!!! Good luck with your goals for 2012 - looks like you're off to a blazing start! I'll never be tired of them!! 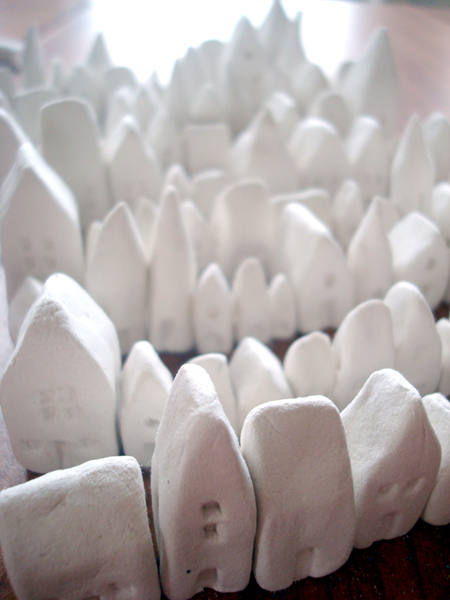 Are you using paper clay for your bitty houses? I really want to try that stuff. not tired of them at all! 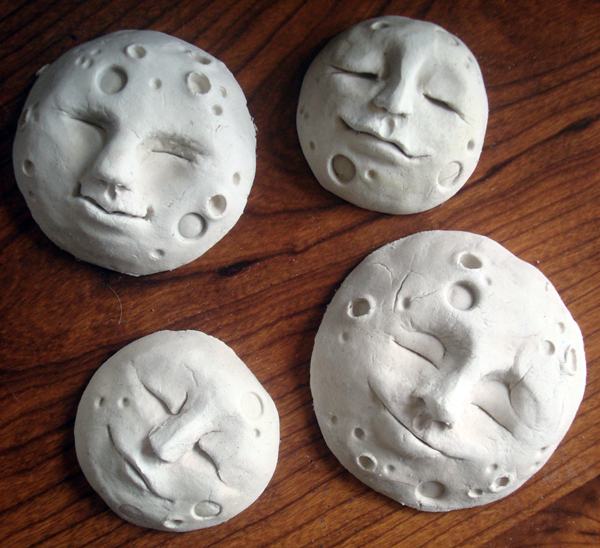 i am in love with the moon faces and pixie hill is one of the cutest things ive seen in a long time!! 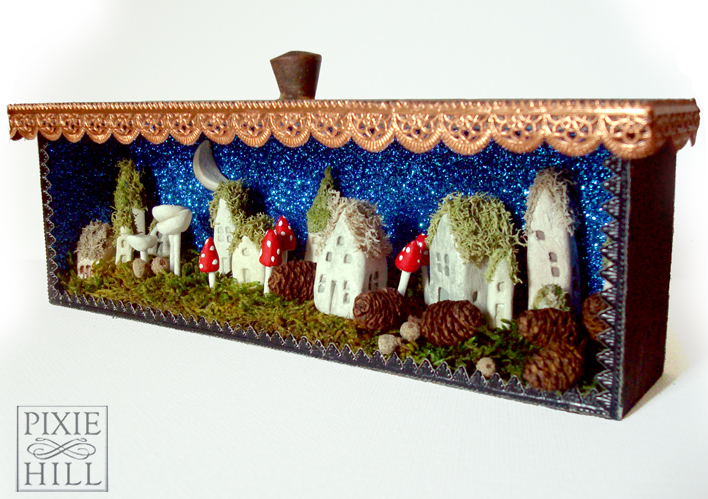 I could never tire of sparkly moons and fairy villages! Those lovely moons remind me of the book I just bought our impending little one. It is called "the man in the moon" by William Joyce! 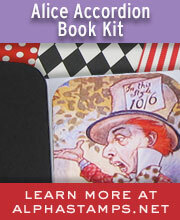 The illustrations are gorgeous and the story is superb!